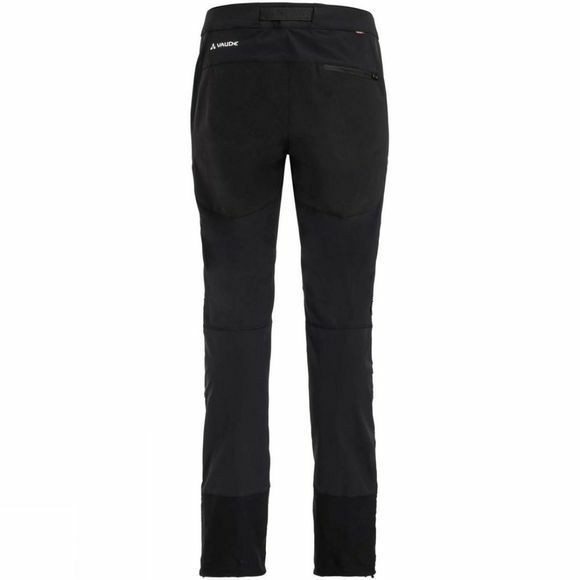 At home in the mountains: The highly functional Croz Pants are a high-stretch and extremely vapor permeable pair of touring pants made of windproof 80 softshell material. The sporty cut and the woven, abrasion-resistant Cordura inserts at the knees and seat offer optimum freedom of movement for mountaineering. If you're on the move with crampons at high altitudes and glacier crossings, you'll also appreciate the slightly narrower cut. 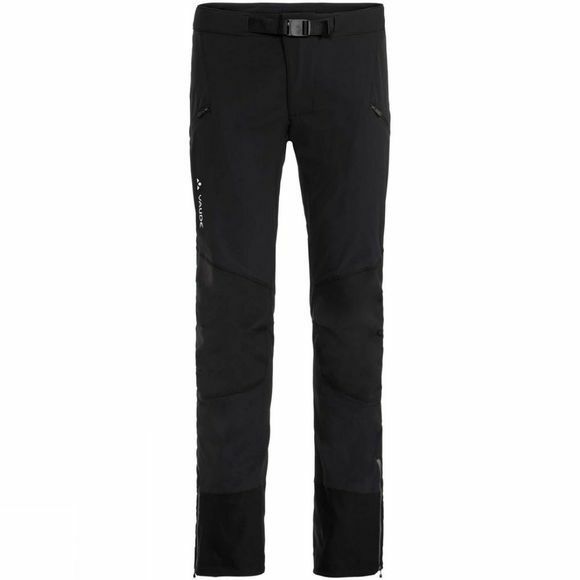 The stretchy Cordura trimming at the leg cuffs provide protection against sharp crampons and rocks. In the two pockets on the front, small objects can be easily reached even when you’re wearing your harness.